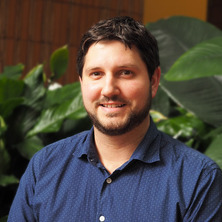 Dr Timothy Wells joined the Diamantina Institute in 2016 as a Senior Research Fellow. His research focuses on the interactions between the host immune system and Gram negative bacteria during chronic lung infection. Dr Wells is passionate about making his research as clinically relevant as possible, with his work previously having led to novel treatment of critically ill patients. His research uses a mixture of molecular microbiology, immunology and genomic approaches. Dr Wells’s original work in the field of host- pathogen interactions during chronic lung infection has led to several key insights and direct translation to the clinic. Key research outputs: The most important finding of this research is the identification of ‘inhibitory antibodies’ in patients who have chronic Pseudomonas infections. These inhibitory antibodies were found to prevent both complement and cell mediated killing of patient’s cognate strains. Importantly, he found patients with high titres of inhibitory antibodies had worse lung function than patients infected with Pseudomonas who had normal serum killing. This finding led to the successful treatment of two patients by a novel method. He has also developed a diagnostic test to identify inhibitory antibodies against Pseudomonas from patient serum and has a patent for this methodology. Using this test he found that 14% of 200 patients with bronchiectasis had inhibitory antibodies to Pseudomonas. Determining the scope and mechanism of inhibitory antibodies in bacterial lung infections. Baillet, Athan, Bhuyan, Zaied Ahmed, Douillard, Claire, Bozon, Aurelie, Armitage, Charles, Romand, Xavier, Minh Vu Chuong Nguyen,, Favier, Bertrand, Wells, Timothy, Beagley, Kenneth and Thomas, Ranjeny (2017). Chlamydia-Infected Macrophages: "Trojan Horses" for Dissemination of IL-23 and TNF-Mediated Inflammation in SKG Mouse Reactive Arthritis. In: 2017 ACR/ARHP Pediatric Rheumatology Symposium, San Diego, California, (). 3-8 November 2017. Timothy Wells (2008). Identification and Characterisation of Novel Autotransporters of Enterohaemorrhagic Escherichia coli O157:H7 PhD Thesis, School of Chemistry & Molecular Bioscience, The University of Queensland.